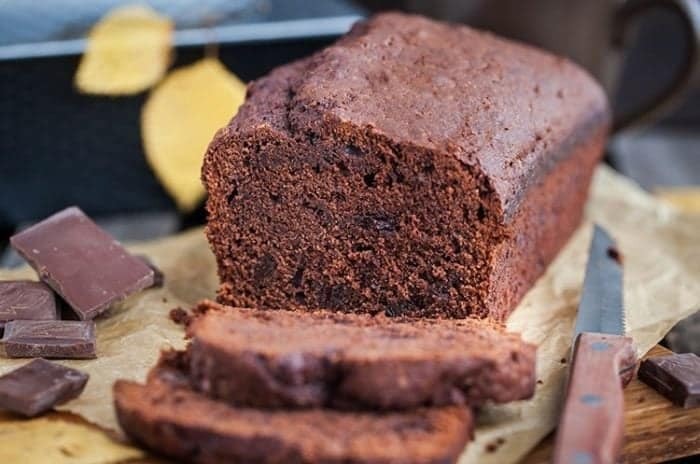 This is just a simple, basic chocolate zucchini bread but man is it ever a great recipe to use up your summertime zucchini! I think I am going to commit a cardinal sin here, so if you are worried for the state of my soul, please, stop reading now. I don’t like most zucchini breads.There. It’s off my chest. I have never found a zucchini loaf that I love, or that loves me back. This does not include any chocolate cake zucchini concoctions of course. But loaves, a true bread, has escaped me. Until now. Hello yummy. And I realized why I don’t like most zucchini loaves. I hate cinnamon in zucchini loaves. So I took out any spices, added cocoa, and chocolate chips, and zing! Here we go! If you are getting into gardening this year and are thinking about putting zucchini in your garden, have a read about tips and tricks for growing zucchini! I always have a few plants in my garden. Can zucchini bread be frozen? Yes! It must be because of the zucchini in it, but I would tell you that chocolate zucchini loaf is even better after you freeze it! The zucchini holds in so much moisture that it won’t dry out after being frozen. Simple make sure to wrap it up well so that it doesn’t get freezer burnt and you are in action! Try not to overcook the bread, zucchini bread is supposed to be moist and decadent. You can substitute in apple sauce instead of the oil if you are looking for a lower calorie loaf. It won’t be exactly the same consistency but hey, we all know that oil is the tastiest in loaves. This recipe makes two loaves and they freeze exceptionally well! Use zucchinis that aren’t that old and large, but if you have to, scoop out the large seeds that are inside and just use the softer outside to grate. The seeds will be terrible! If you like a good chocolate zucchini taste, my Chocolate Zucchini Cake recipe is rich and indulgent! This is just a nice loaf, that cake is seriously decadent! Pin this recipe to your desserts board and remember to FOLLOW ME ON PINTEREST! 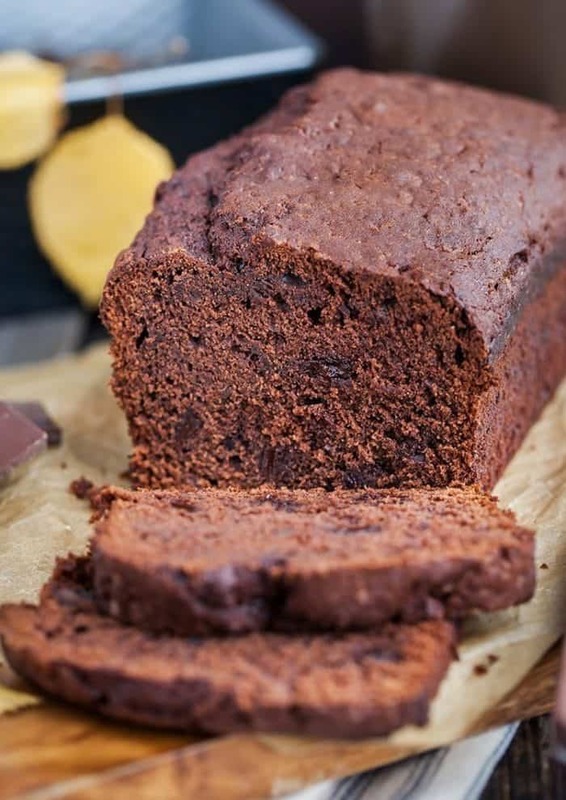 There's nothing better than a basic chocolate zucchini bread! Preheat your oven to 350°F. Grease and flour two standard loaf pans and set aside. Beat together the eggs, white sugar and oil. Stir in the sour cream and the zucchini. Whisk together the dry ingredients, then stir into the wet mixture. Once combined, stir in the chocolate chips. Divide between the two loaf pans and bake in the oven for 55-65 minutes or until a cake tester inserted into the middle comes out clean. Remove, cool in pans for 5 minutes then turn out onto baking racks to cool completely. These loaves freeze exceptionally well! This is baking in the oven as I type! It smells great!